POSTED: Tue, 12/20/2016 - 17:00 | POSTED BY: Traci C.
The annual Disney Parks' Christmas Day television special is set to air Sunday morning at 10 a.m. ET. This year's show, The Disney Parks' Magical Christmas Celebration, is hosted this year by Julianne and Derek Hough. MagicBand 2 is rolling out at the Walt Disney World Resort. 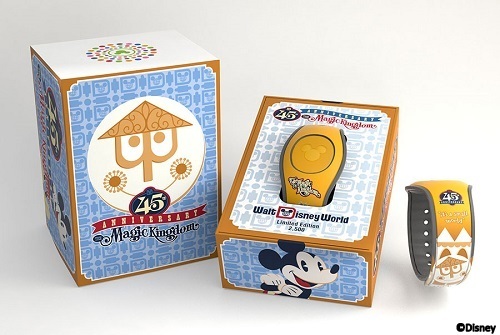 On December 16, a limited edition MagicBand 2 celebrating the 45th anniversary of it's a small world was released. Two additional retail MagicBand 2 designs were released on December 19. MagicKeepers will be released soon at Walt Disney World. Rogue One: A Star Wars Story was released last week and has a huge opening weekend. The new film expands the Star Wars universe beyond the "Episode" films. Beginning tomorrow, Annual Passholders can use a special passholder entrance at all four Disney World theme parks. This perk is scheduled to run through January but no end date has been announced. And finally, if you happen to receive a winning lottery ticket for Christmas you could buy Walt Disney's Palm Springs home. It's on the market for a mere $900,000. What do you think about the new MagicBand 2? Let us know in the comments.